Today marks the beginning of the battle that will decide the fate of Atlanta. 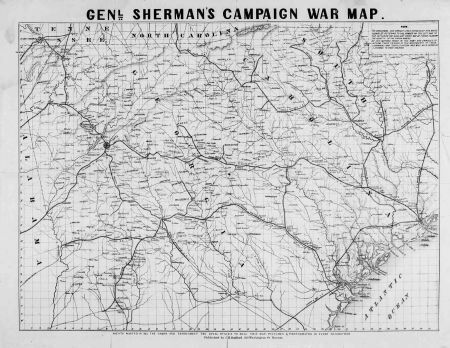 In what becomes known as the Battle of Jonesborough, Union General William T. Sherman maneuvers his forces in an offensive designed to draw the Confederate’s Army of the Tennessee out of the city of Atlanta. Confederate Lieutenant General William J. Hardee, commanding two corps, takes the bait when he moves from his entrenchments to attack a small Union force intent on disrupting rail service near Jonesborough. What Hardee does not know is that Sherman is moving six corps to meet the unsuspecting Rebels. Several skirmishes follow in this day’s battle as the Confederates repulsed on several fronts while Union reinforcements are yet being put into place. Under cover of darkness the armies maneuver in anticipation of the battle continuing on the morrow. Meanwhile, Southern Baptist newspapers, as they have for almost four years now, assure their readers that the Confederacy will prevail over the ungodly, abolitionist enemy. Today’s South Carolina Confederate Baptist declares with near certainty that the godly Confederacy will win this war. A missionary to Confederate soldiers estimates that one third of them are sincere Christians, whilst in the population of Christendom only one eighth are such. If his estimate is correct, and there seems to be no reason to doubt it, it presents a most gratifying proof of the favor bestowed upon the Confederacy. The prayers of such a multitude of pious soldiers will erect a rampart around our country which the enemy can never overleap nor undermine. Such confident words of assurance may or may not assuage Southern fears that Atlanta is on the brink of foreign occupation.